The internationals were out this weekend with Dewi Griffiths and Hayley Carruthers posting rapid times down the local park. Here are the fastest UK parkrun times on Saturday (November 17). 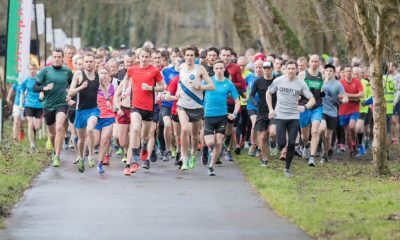 Welsh international Dewi Griffiths took to Llanelli Coast parkrun this weekend to take over a minute off of the course record for the event with 14:12. 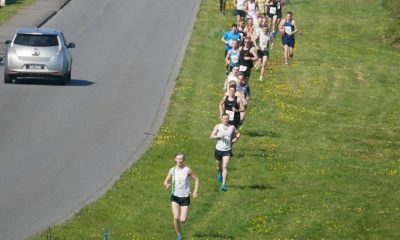 The Swansea Harrier ran 62:55 at the Cardiff half marathon in October and is hopefully building strong into the cross country season. In what is possibly our quickest second place ever Andrew Heyes of Hallamshire Harriers Sheffield AC ran 14:18 at Bakewell parkrun. It was another course record on the parkrun debut of the Team New Balance Manchester athlete. Just two weeks on from 12th in 30:18 at the Leeds Abbey Dash, the 13:46 5000m man looks to be in fine shape. 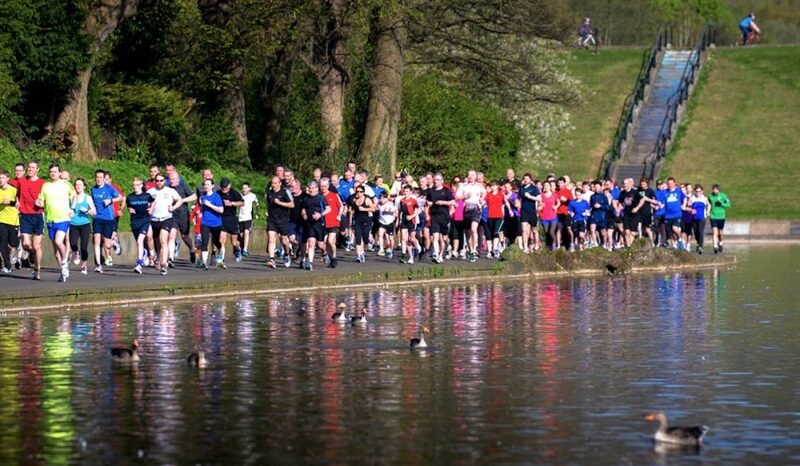 Recent England international Hayley Carruthers has bounced back well from her personal best at the Toronto Waterfront marathon for England and ran 16:24 at the Walsall Arboretum parkrun. 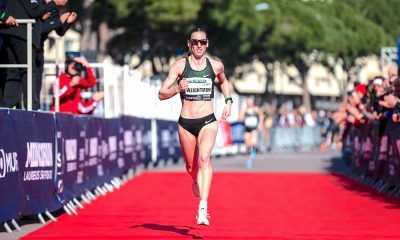 The 2:36 marathoner took 20 seconds off her own personal parkrun best and her own course record for the event. The power of racing may have played a part as the Birchfield Harrier was third overall with both Daniel Robinson (16:21) and Pravesh Patel (16:22) just ahead. Twitter tells us that Robinson was mostly acting as a wind block though. Emma Waudby of Pocklington runners has featured before in our UK and World top 10 but this week’s 16:51 is a top class effort for the youngster in the 15-17 age group. It relates to over 90% on the age gradings, but what is surprising is that Waudby doesn’t have a single result of Power of 10 or elsewhere. She’s just a dedicated parkrunner who’s got quicker and quicker over the years. A time of 16:51 for 5000m would rank in the top five for U20 for 2018, although it is a rarer distance raced at the younger age. Heslington parkrun looks like a legitimate course too with Strava files like Richard Purser’s and Isaac Myer’s coming up good for distance. (Congrats on the PB Isaac). Pocklington Runners’ Emma Simmons said that “Emma’s performance at Heslington this morning was fantastic and we’re all very proud of her at Pocklington Runners!” The club secretary continued that “Emma is a junior athlete who enjoys running and just happens to be very good at it. She started attending both Pocklington Runners club nights and Heslington parkrun earlier this year”. Third place woman was Lucy Reid, who has been running really well of late. Two weeks ago Reid helped her club Tonbridge AC to XC relay gold with an excellent leg two and the last week took an excellent sixth place at the Milton Keynes Cross. Fourth place was 10 year old Pearl Dowling, but we imagine that a jump from 43:21 to 17:16 is a bit much, especially as the age grading would be 119.69%. If Pearl really did just blow the U10 age rankings apart then please get in touch at team@fastrunning.com and we’ll add her back in, but keep up the hard work Pearl regardless! As we were a bit gung-ho with getting the results up this week we missed two late additions to the men’s top ten. Third place was Andrew Douglas, who’s coach we spoke to just recently. Douglas ran 15:25 at Edinburgh parkrun. Fourth place in the men’s rankings was a close fought affair at Bushy park with Andrius Jaksevicius just six seconds ahead of Euan Campbell. The other addition is Connall McClean of St. Malachi’s AC. 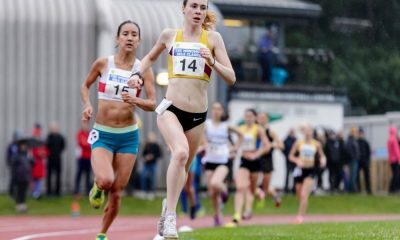 Like Emma Waudby McClean is also in the 15-17 age bracket and the young runner was first finisher at the Belfast Victoria in a splendid time of 15:34. Two excellent performances from young parkrunners and hopefully more to see from them in the future. In sign of good times all 10 of the women’s rankings come in at or under 18 minutes. To get into the men’s list you’d have to run under 15:42, which is probably a sign that there were no big club relays or cross countries this weekend. Just outside the top 10 in 11th place was Fast 10’s Anna Boniface. Great to see the Reading AC back in regular and fast action! N.B. 12 Aiden Lennan is included as we initially published without two of the runners ahead and it seems unfair to remove Aiden due to our mistake. Who ran the fastest 5k in the UK this year?